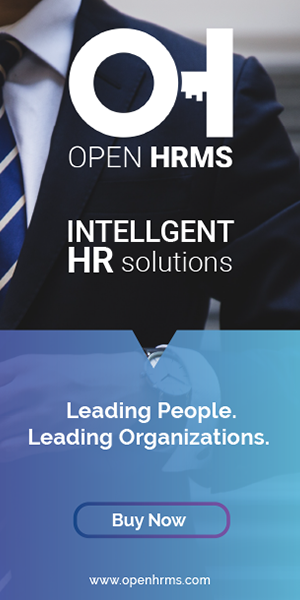 HR system, backbone of any business, the efficient and effective performing HR system shows the well-performing status of a business organization. HR system is something which needs timely improvement and change, growth is inevitable for HR systems as the business step up. When you have got only ten employees it may be possible to handle them with emails, spreadsheets and other such offline methods, but what if your employee count reach thousand or even more if you still use the same offline techniques better to get ready and brace the impact of your business collapsing. It is very important to understand when to step-up to an HR system from manual methods. There are two cases, both of which are of no use. One is doing it too early, if you adopt an HR system at the infant stage of your business, it will be just an over-investment without much of a use, you want to know why? Because you will not be using even ten percent of the total functionalities that the software has to offer and thus it becomes a wastage. The second case is when you are too late to adopt an HR system to back up your business and the result will be a total mess without any productivity. So it is very important to know the phase change of your business and adopt or upgrade the software accordingly. This blog will give you the proper picture of adopting and upgrading the HR software during the various phase of business such as the starting phase, growing phase and finally the established phase. All the activities regarding the salary of employees and salary rates are controlled by payroll software. Once the payroll software is installed it will do various activities like total compensation calculation, fund transfer of workers, bank account handling of the company etc. the users can also handle their taxes using payroll software. Payroll software is a must for any company regardless of its size. It is because even if your company has got only ten employees they need to be paid accurately. Any failure happening in the payment area will directly affect the overall performance and productivity of the company. Another advantage of payroll software is that it handles the payroll taxes, this is indeed very helpful for any business since the tax section is where most of the errors and headaches of any business happen. The software eliminates all the errors in the payroll sector which saves a lot of money. So during the beginning phase of your business itself, installing a payroll software is critical. Using spreadsheets to arrange shifts and track employee hours is not recommended for any stage of business. You should invest in an attendance software at the beginning phase of your business itself. The attendance software will help you with report generation, employees time storage, arrange employee shifts and time schedule. This software is most useful for shift based industries. It will really help the HR department as well as the employees for efficient time management. Even if the company is not shift based and is working on a regular time schedule, the attendance software will still be beneficial if your business is small, since arranged working is always on the productive side. You can also integrate the time and attendance software with payroll software which allows you to calculate the payroll based on work hours which saves a lot of time. So when your employee count is between twenty-five to fifty, it is the right time to go for a time and attendance software. This part is for those who are fast growing in their business. There will be a lot of data about employees which the organization needs to track efficiently. Various information like employee name and address, job title, work history, certifications etc. can be tracked through the personnel tracking software. The main advantage of this software is robust security, user-friendly database and easy of usage. With the usage of this software, you can save a considerable amount of time with more accuracy, unlike a spreadsheet. During the growing phase of a business, we should be really careful about errors since it can cause considerable lag which reduces the efficiency and that is the reason why you should choose a personnel tracking software. It is advised to go for this software when your business is growing, we can generally say when the headcount of employees in your organization is in between 100 to 200, you can go for personnel tracking software. The recruiting and hiring activities of a company can be managed by applicant tracking software. With this software, the jobs can be posted on job portals and social media. Also, the resumes and job applications of various job seekers can be stored using the software. Along with this efficient tracking of the job, applicants can be done. Grading, ranking and extending the job offer to the candidate can be performed by the software. During the growing phase, you will be required to hire a lot of people. So you need a good backup to make your recruitment process smooth. Also, the job postings you have will get a very wide range of audience and likely visitors. It will also help you to sort out a lot of applicants which narrows the interview process and make it easy. So when your company has got an employee count of more than 250, you should definitely go for applicant tracking software. The performance review area is completely covered by the performance management software. With this software, the companies can set individual goals for employees and then track their performance. Many tasks like feedbacks, document storage, reporting etc. are automated using performance management software. For the betterment of productivity, performance boost and increasing the profit of an organization the performance management software can be of great usage. In a growing business organization, it is necessary to track the employee performance to bring out new strategies, for this too performance management system can be of great help. If your employee range is anywhere between 251 to 500, it will be wise to invest in a performance management software. Providing workers with benefits such as insurance and managing these benefits are really a task for an employer. To make this task easy the benefits administration software can be made use of. As your company grows you will have to introduce strategies to make the employee status better. It is on behalf of this benefits or perks are provided to the employees. So to manage those things you should have a benefits administration software with you. With the benefits administration software employees can apply for benefits and follow up the lead by themselves. You can go for the benefits administration software when your employee count is more than 250. Onboarding software is used for providing the steps which make new hires transform to a fully capable employee. The onboarding software can perform various tasks, starting from the paperwork’s to providing training tasks, the software is fully capable of doing onboarding tasks. With this software, a new employee gets a direct chance to interact with manager and co-workers from the first day itself. In the normal method, an employee takes a considerable amount of time to become fully capable and productive, the software can help in reducing this time gap by automating paperwork. The overall onboarding process will be improved by the software which in turn increase productivity. If your company has got more than 1000 employees, you should definitely opt for onboarding software. To handle various functions like company revenue, company budget, currency fluctuations etc. the compensation management software can be used. In the established phase of a company, every improvement will be pushing the company to further heights. If we are talking in the employee level, the compensation management system can recommend bonus payouts based on the performance of the employee. The software also calculates compensation budgets for your company by considering the entire workforce. This system will be like an extra feature or added advantage for your business. If you have got more than 5000 employees in your company, going for this system will be really beneficial. Generally, employees are trained using classrooms and slideshows, this can be replaced with the learning management system which is more engaging and more effective. For the development of workers skill set ongoing training is crucial. This is not an easy task and that is the reason why software should be used for this purpose to make it more effective. The system can help you to solve the problems of your organization by providing the employees the proper training which they require, thus improving the overall standard of your company. For all the established business firms learning management system will definitely be of very great use. Your business may be at any stage as mentioned in this blog. Regardless of the stage which you are in, different HR systems are required to make your business profitable and effective. The success formula for your business will be to choose the right HR system at the right time.